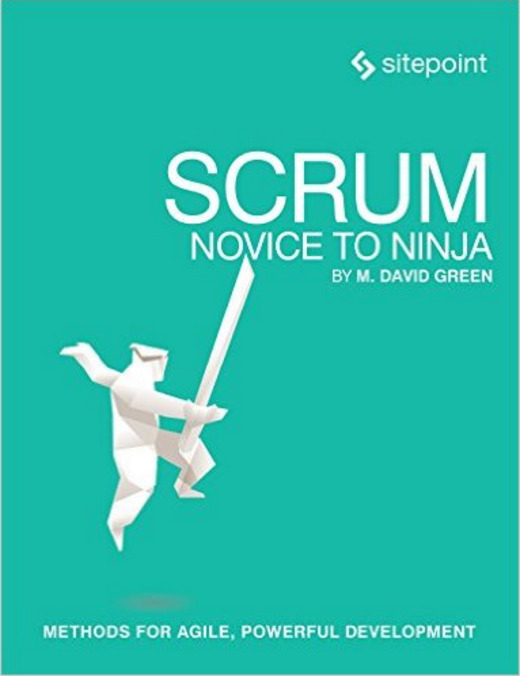 M. David Green is a writer, a speaker, a web engineer, an agile coach, and the founder of Agile That Works, a consultancy that helps people in engineering organizations collaborate to make constant improvement a daily practice. With over 10,000 hours of experience as a scrum practitioner, scrum master, and agile program manager, David currently coaches organizations, teams, and scrum masters. Running an effective scrum team requires organization and authority. But sometimes in the spirit of getting things done, the details of a ritual may be skipped, or a valuable piece of information may get lost in the shuffle. A scrum master who can't keep track of the critical details that come up in all the rituals, and make use of them across multiple sprints, is at a disadvantage when it comes to helping a team iterate and improve. Maintaining an accurate and consistent historical record of what happened in each ritual is the best way to support the iterative improvements a team makes with scrum. But until now, there hasn't been a convenient way to create and maintain these notes for your team. That's the problem that Scrum Templates That Work can help you solve. These templates are perfect for getting your new team's rituals started out on the right foot, or offering an experienced team a refreshed perspective on their agile process. They also make it very easy to maintain a historical record that's ready at your fingertips, to reference when needed. 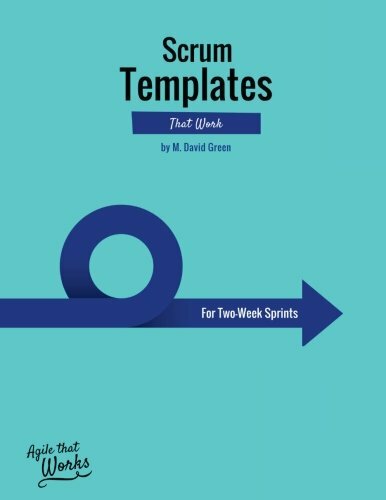 Each of the templates is available as a printable PDF , or in pre-printed quarterly notebooks in versions specifically for teams using one-week , two-week , or three-week sprints. The printed notebooks are 8/12" by 11" on white paper for easy writing, with lined pages for notes. The PDF version prints fully on a sheet of 8.5 x 11 paper, giving you reminders of what to cover during a ritual, and a consistent place to record what happened throughout the sprint. Also included are friendly guides that explain how to use these templates. That way you'll never feel as if you've left out a critical aspect of a ritual, and you can avoid losing track of valuable information as it surfaces naturally through the scrum process. 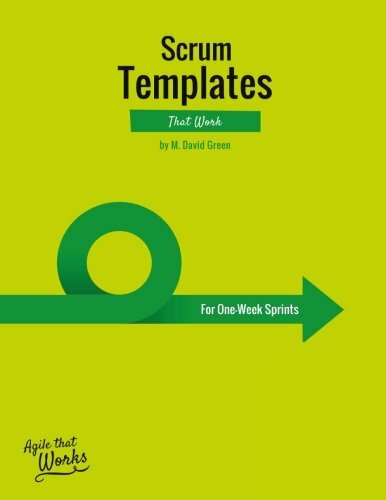 These templates were developed by M. David Green, the founder of Agile That Works (www.agilethatworks.com), and an author writing about agile topics for publishers such as SitePoint and Udemy. Green is also an experienced scrum practitioner, scrum master, and agile program manager. For years he has run scrum, coached teams and scrum masters, and promoted agile techniques in engineering organizations in the San Francisco and Silicon Valley area. Not convinced yet? Pay what you want to try the Daily Standup template in your scrum team today, or get the whole set now while the price is still just $19. 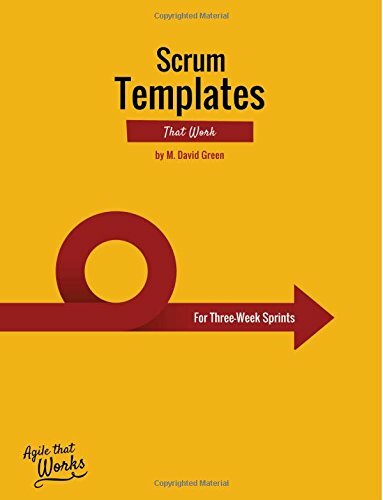 If you want to be known as the scrum master who has all the answers at your fingertips, download your copy of Scrum Templates That Work today, or buy a pre-printed quarterly notebooks in versions specifically for teams using one-week , two-week , or three-week sprints.